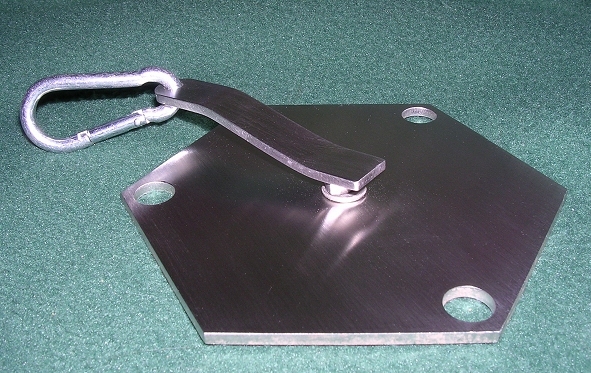 Dog anchor/tether for campers or home owners who would prefer their dogs not to stray too far. Non-tangling super strong stainless steel tethers for any size of dog. Swivel arm with extra strength welded karabiner clip. Incredibly tough stainless steel design for large and giant breed dogs. I love the size, design and ease of use of these tethers. The workmanship is good and in the main was an excellent purchase for securing my dogs. I have reduced my rating by 1 star as on the second use the spring clip broke and the dog was no longer tethered. My dog is a medium sized breed weighing 17.5kg. It can be easily rectified though by swapping the spring clip for a 5mm screw lock caribiner. I would buy again. They are the best I've found.